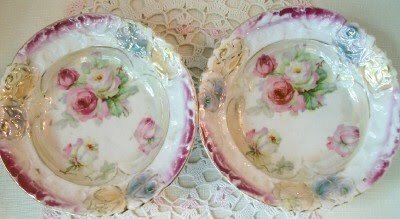 I just fell in love with the cake plate... you must know I do not like to ship large things. 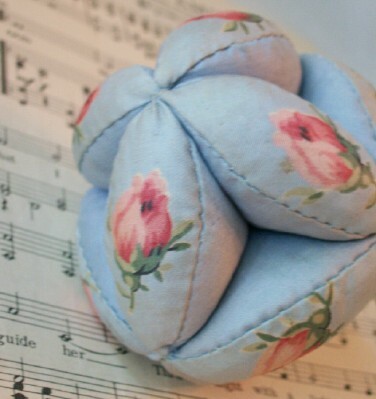 But this one is ten and a half inches in diameter so it must have been gorgeous or I would have never put it in my shop. I thought it was worth the effort. Lovely! 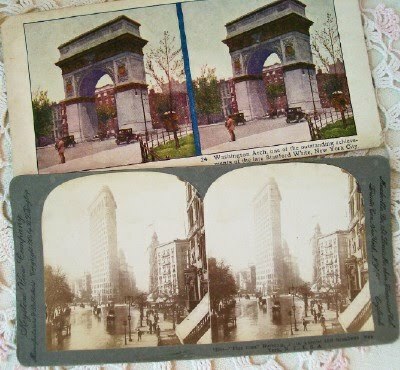 Two NYC stereoviews...the Washington Arch and the Flat Iron building..
neat pieces to add to your decor here and there. 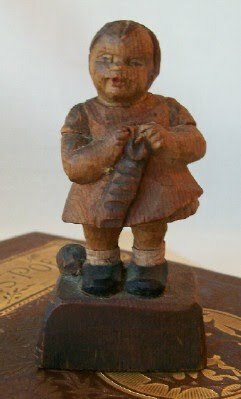 I'm intrigued by this little handcarved piece. Kind of folksy... kind of cottagey. with a ball of yarn at her feet. Sweet! 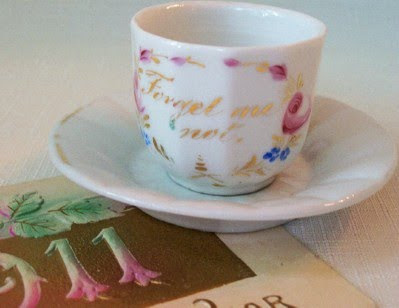 in miniature or for a child's set. Also receive this 1911 New Year postcard. 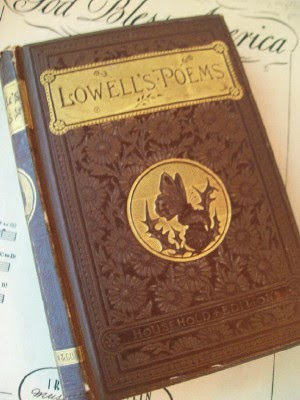 Is one hundred years old this year! 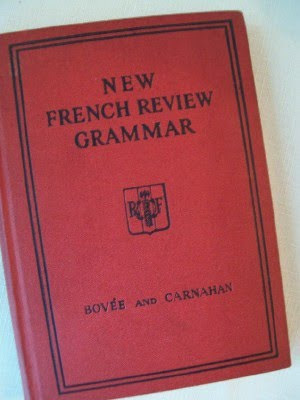 A French Grammar book for those who love all things romantic! 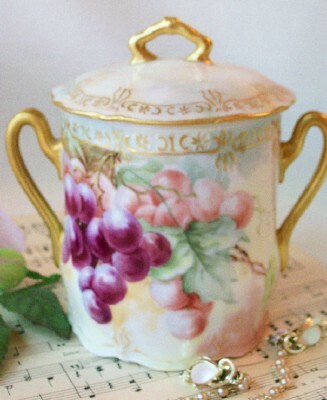 Beautiful, handpainted condensed milk jar. 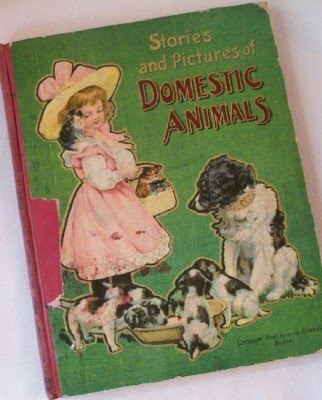 Late 1800's child's story book. So sweet! which would look fantastic framed....makes the purchase worth it for the illustrations! The rest are black and white but wonderful too. These are unique and colorful...with a little bit of lustre to them. Receive two berry bowls in this purchase. 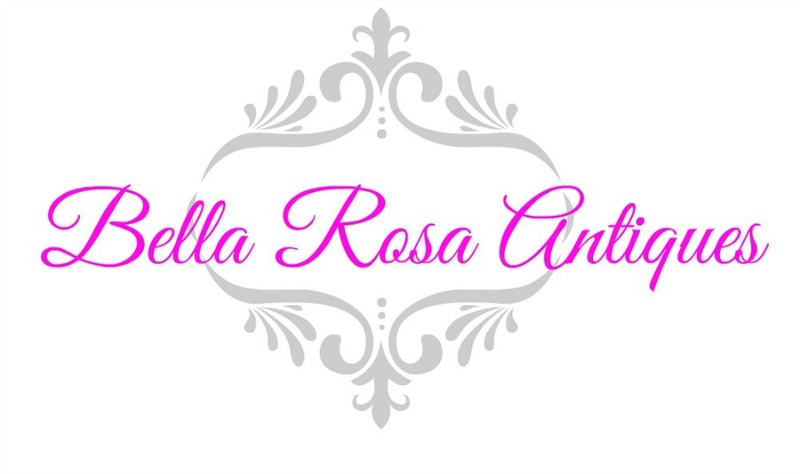 All just listed here in my Bella Rosa Antiques shop. 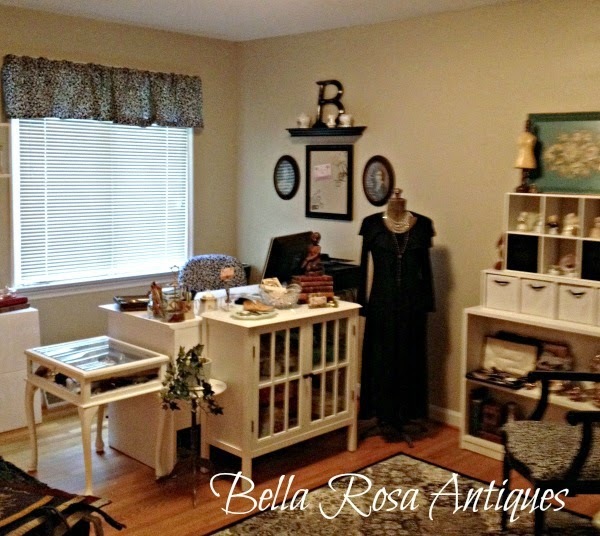 Thanks for stopping by to check out this week's finds. 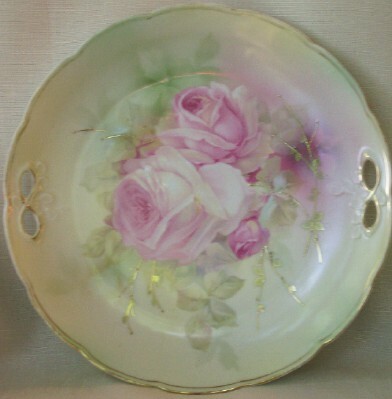 More great finds...you do have an eye for sweet pinks and greens, too.